I am currently working on a pump replacement project; specifically reviewing the motor control centre with the view to upgrade them from the current resistance starter to variable frequency drive, VFD. I've gotten some quick references and information from a couple of sites that would be handy for my personal use and I hope the website owners are fine with it. The resistance starter was fine, reliable and lasted but with the availability of VFD at reasonable price, coupled with the prospect of energy saving for such starter, it is a viable option for the premium efficiency motor manufactured by Nidec. 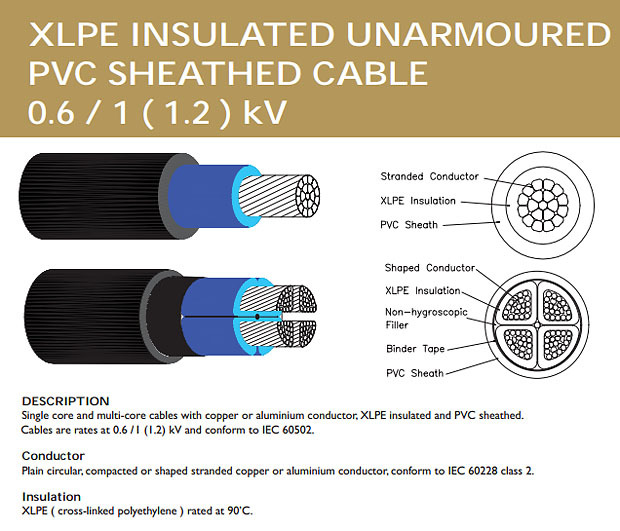 Exactly my interest is on the 630mm2, XLPE 1/C, multicore 300mm2 and 400mm2 armoured cables. 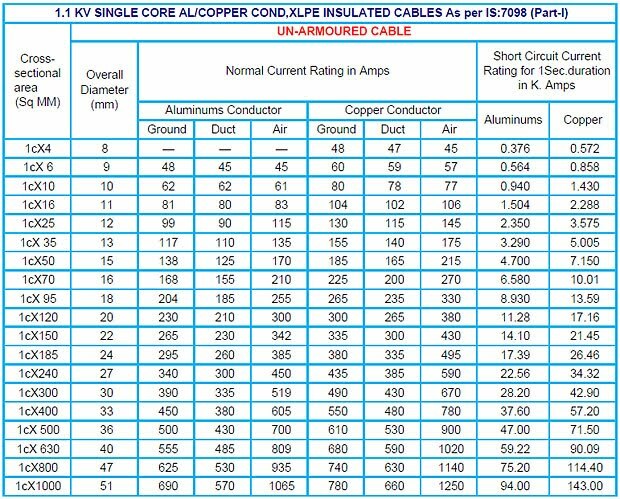 For more info of this cable, see link at the bottom of the article. Hopefully this job will be completed by year end and I can have some time blogging again. Note: This will be for my own use. 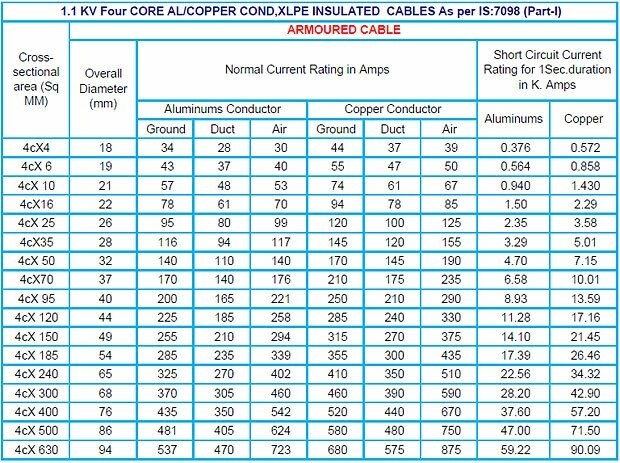 If you are looking for current carrying capacity/rating of other cable types, head over to Electrical Notes, link given below.